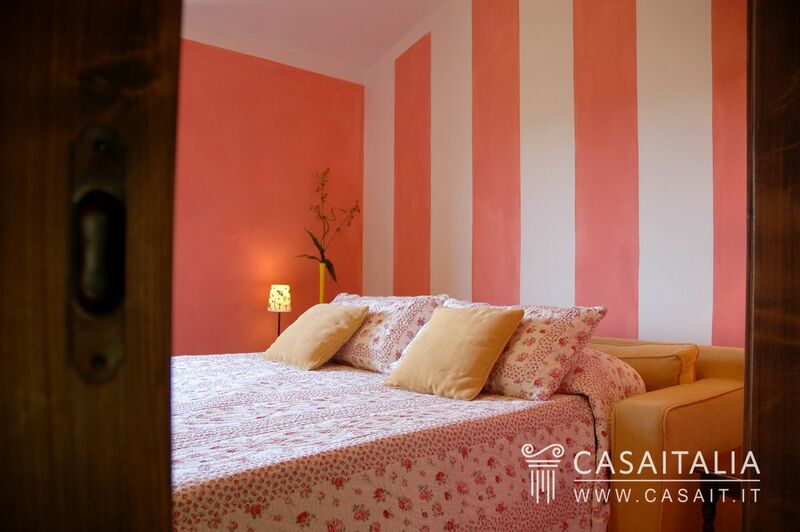 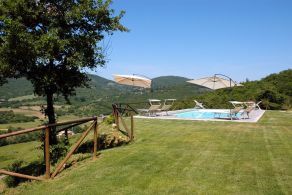 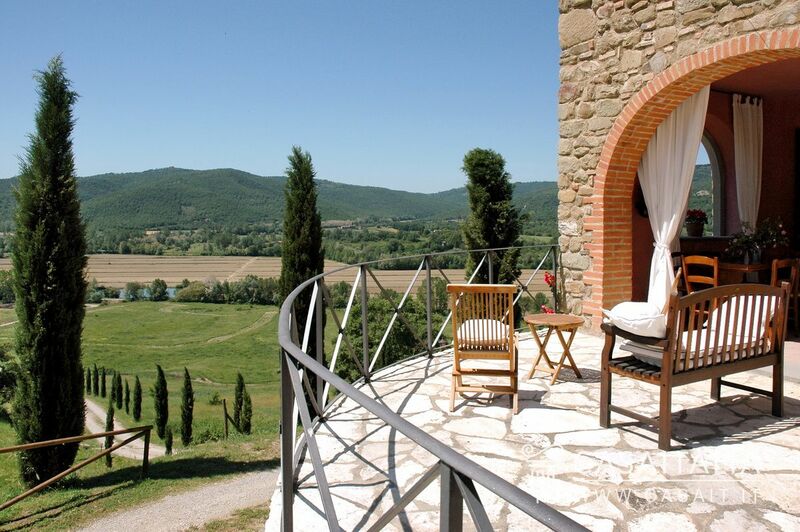 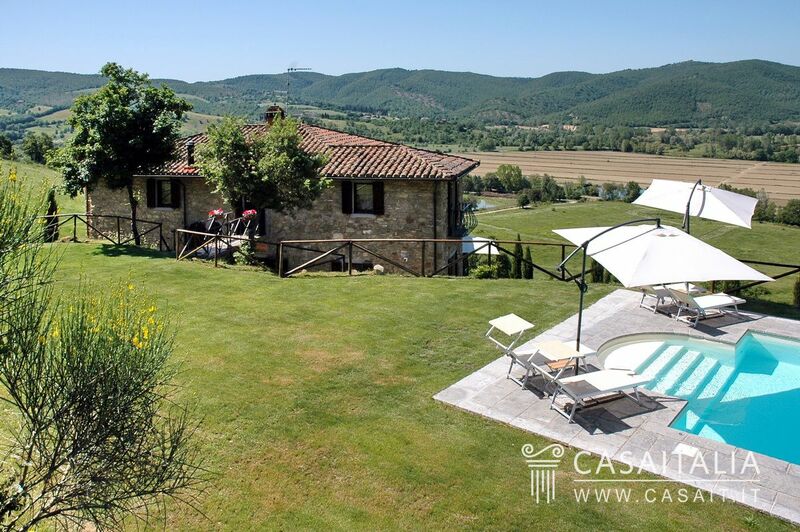 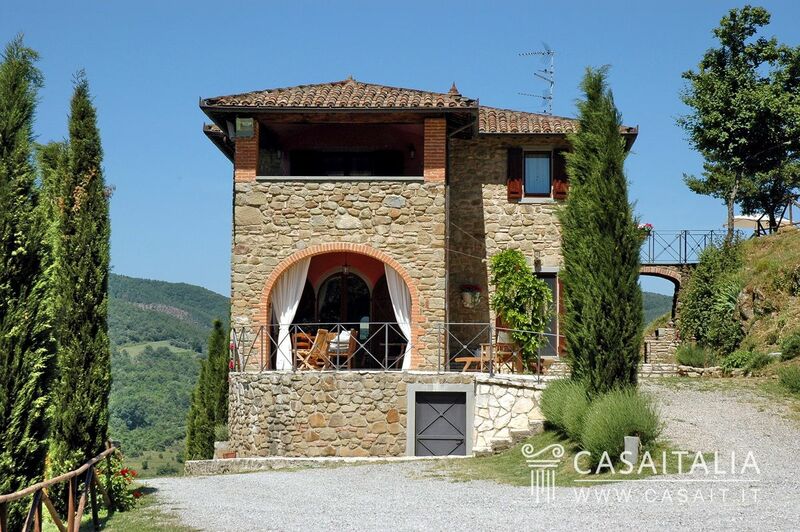 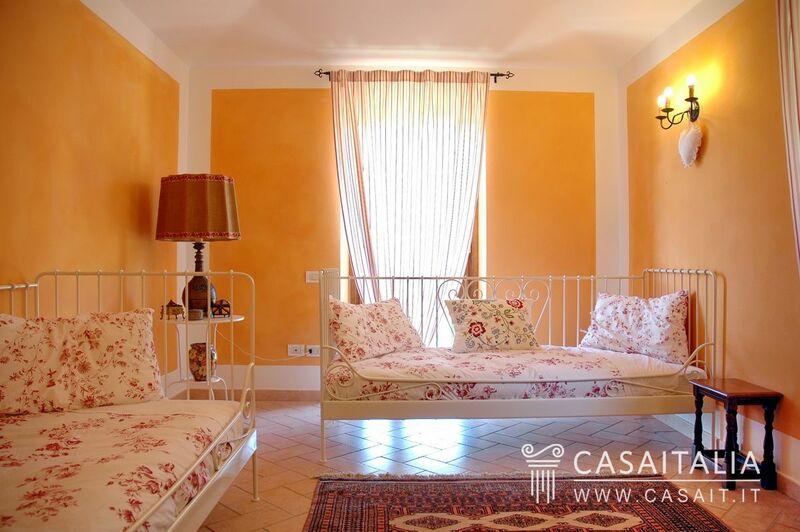 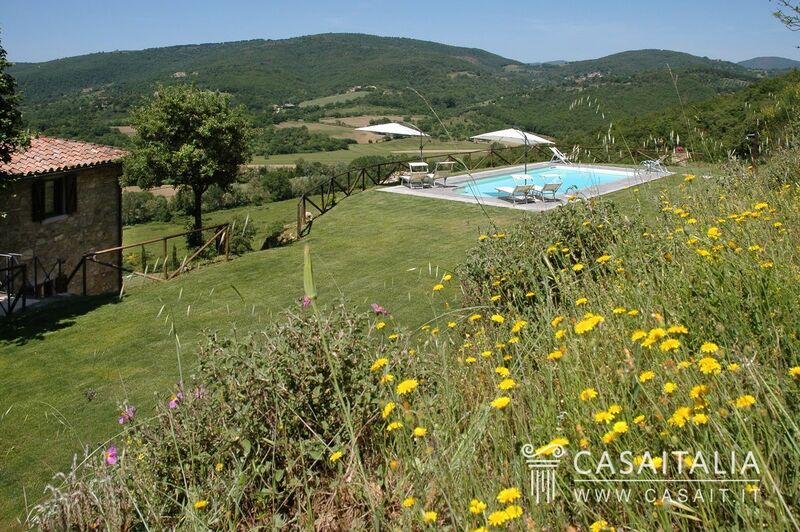 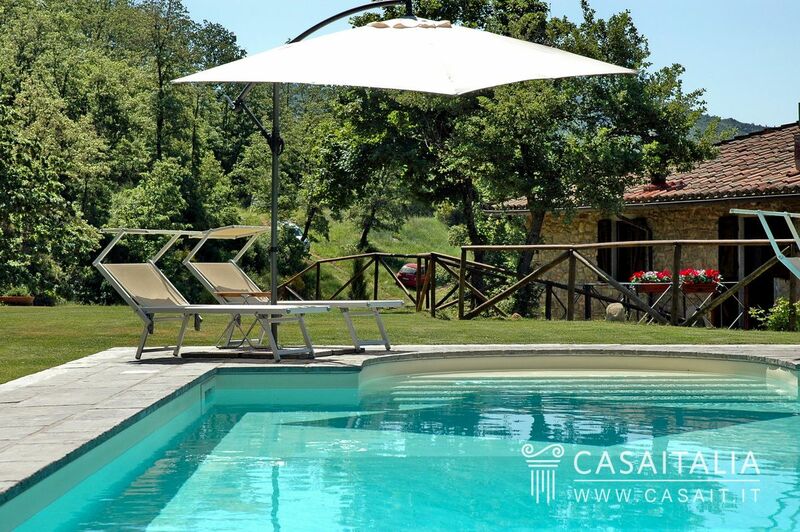 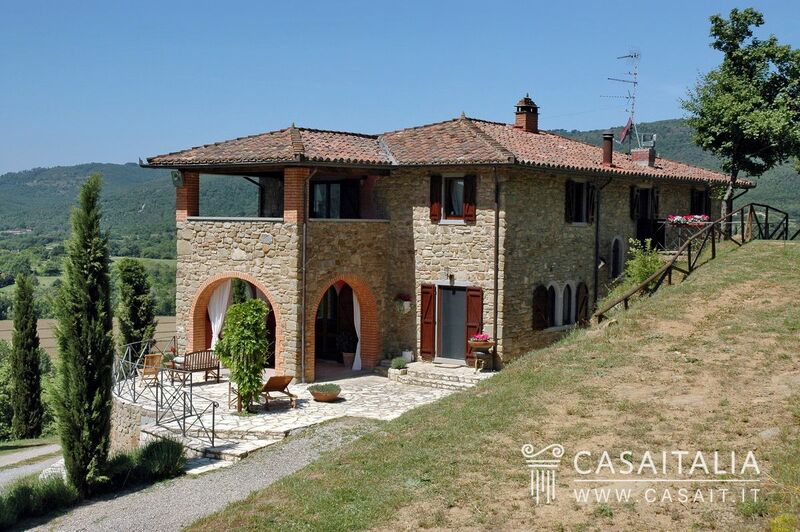 Fifteen minutes from Lake Trasimeno (10 km) and Passignano sul Trasimeno (14 km) and less than half an hour from Perugia (30 km) and Cortona (26 km), is Villa dei Cipressi, an elegant country residence with swimming pool. 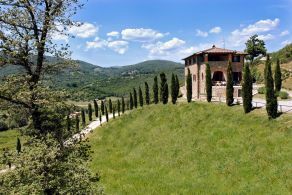 A picturesque lane lined with cypress trees takes you through the property’s private land up to the villa’s hilly location, up above the woodland overlooking the valley with its vast, unspoilt view. 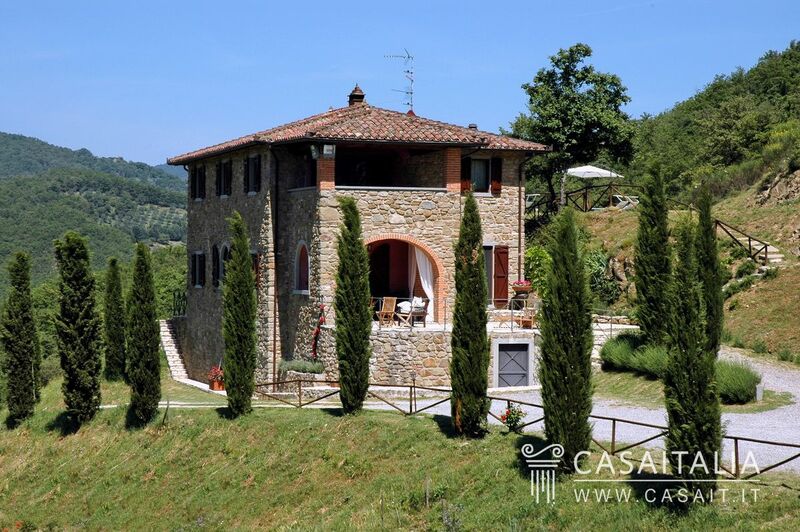 The nearest towns, where you can find all your daily necessities, are the pretty medieval village of Castel Rigone, 5 km away, and Lisciano Niccone, 8 km away. 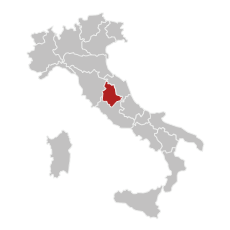 Perugia airport is 45 km away (45 minutes’ drive), while Florence airport is 2 hours away (155 km). 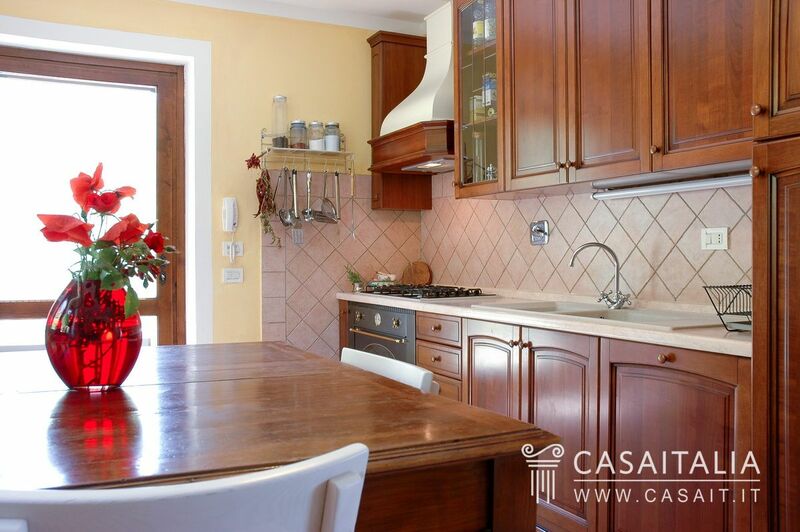 The house is on two levels for a total of 321 sqm (enlargeable by further 100 sqm about). 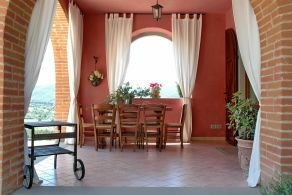 The living area on the ground floor featured by a triple salon separated by arches is brightened by large windows overlooking the valley; the dining-room gives access to the portico, perfect for enjoying al fresco dining. 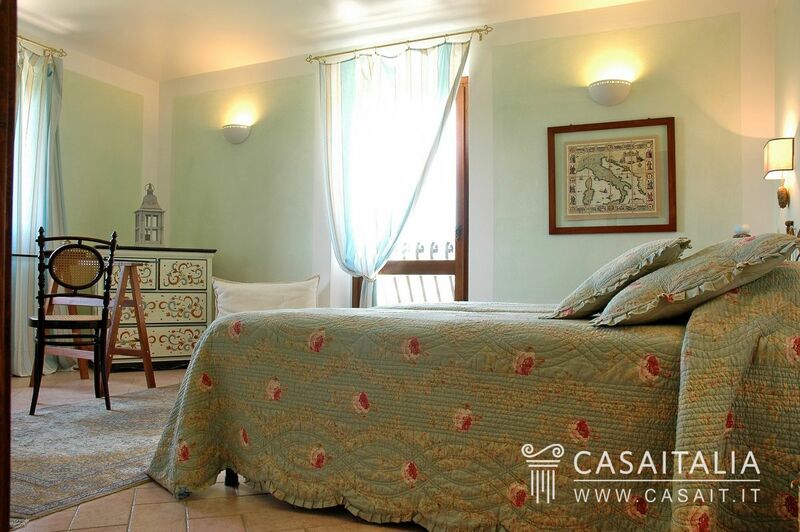 The sleeping area on the first floor hosts 4 bedrooms with 2 bathrooms and a dressing room. 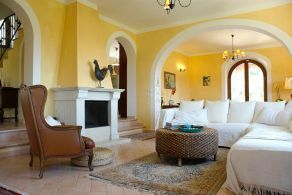 One of the bedroom leads to a large panoramic terrace. 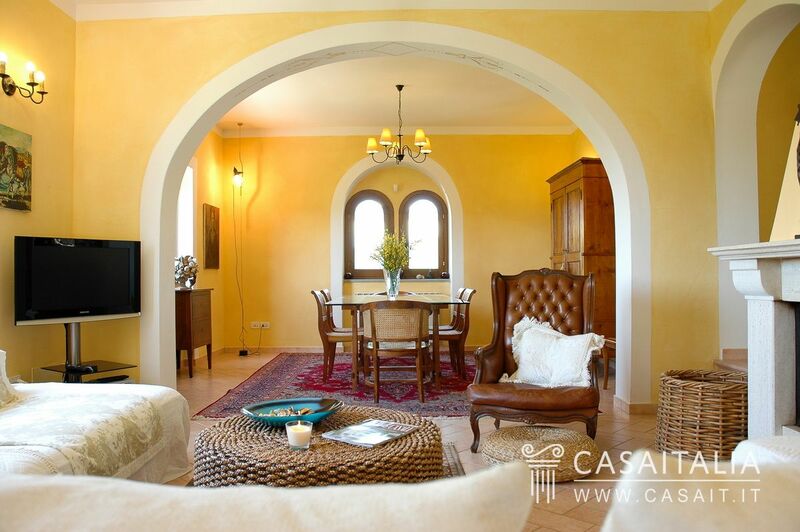 The interiors are bright thanks to the large windows overlooking the amazing panorama. 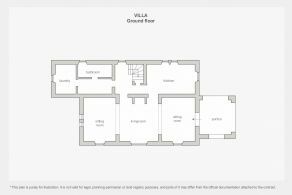 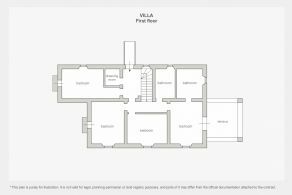 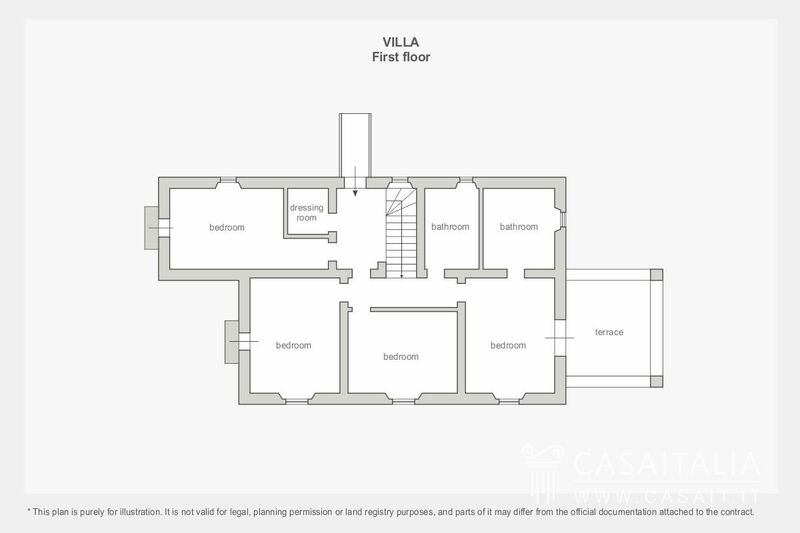 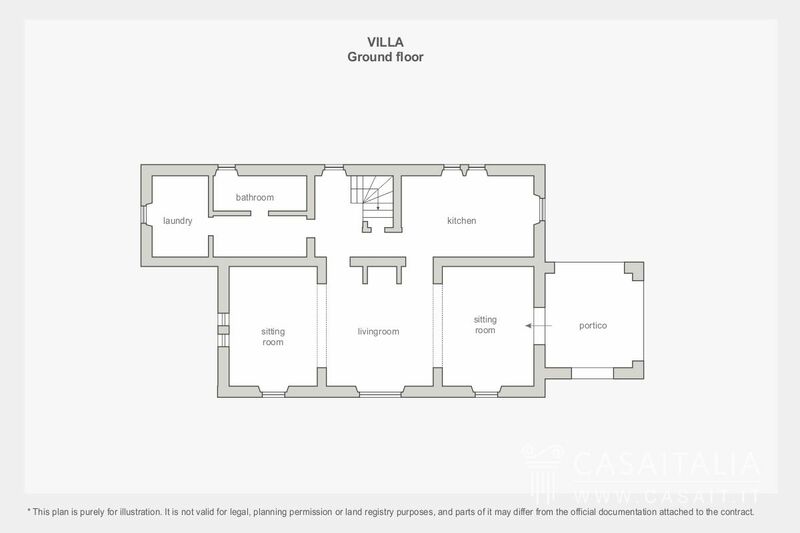 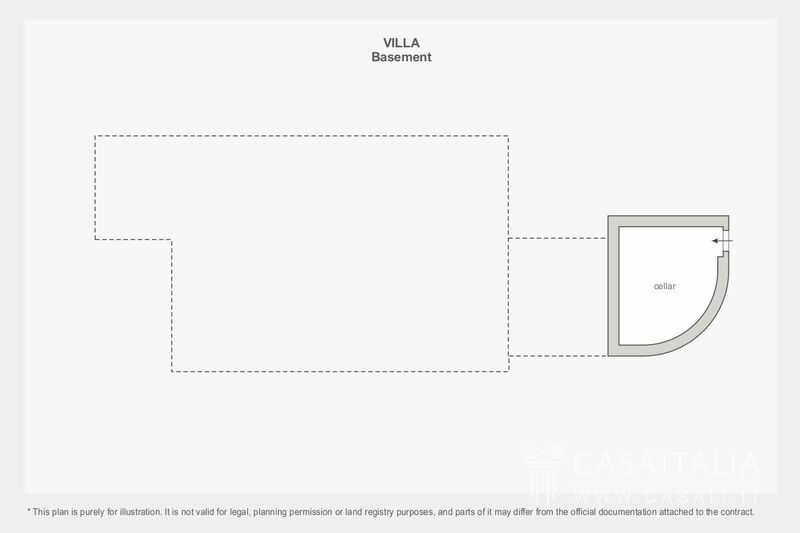 The villa, built with high-end materials, is in excellent condition. 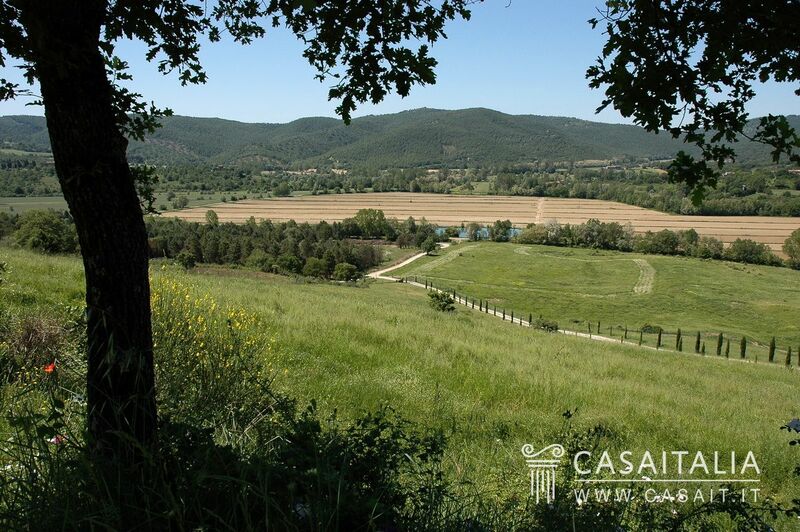 The property includes 6,3 hectares of land. 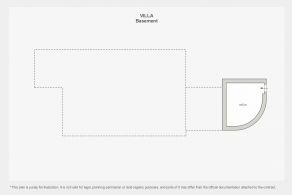 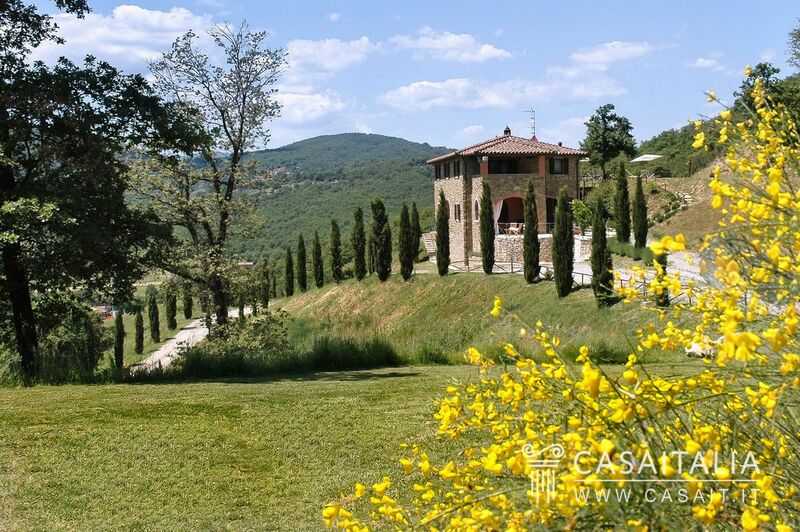 The garden eembracing the villa follows the silhouette profile of the hill, spacious lawns are edged by wooden fences and fragrant hedges. The stunning swimming pool is in a private and panoramic position behind the building. 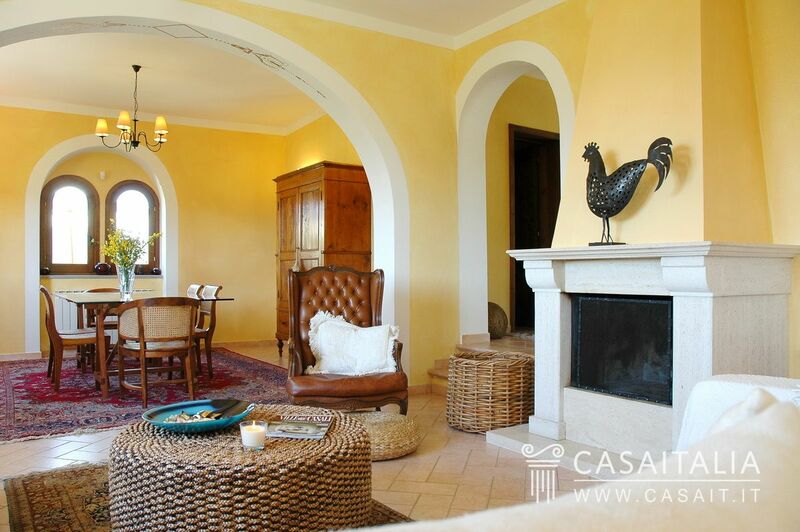 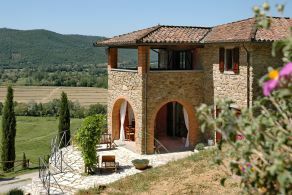 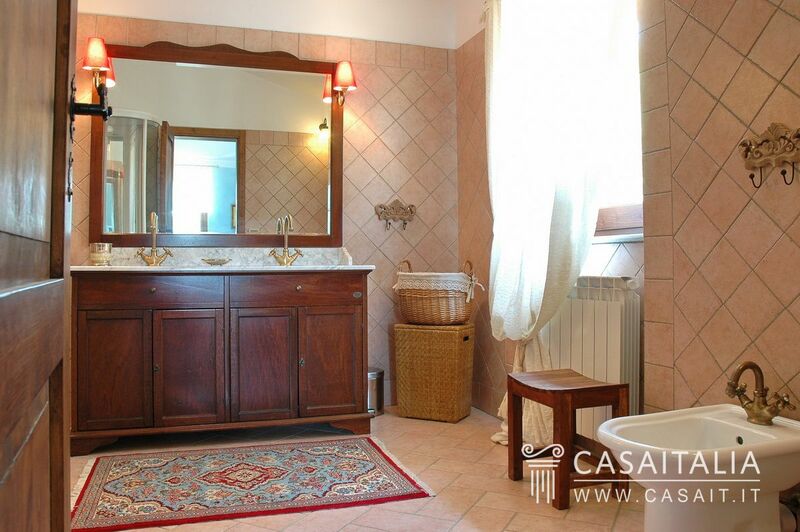 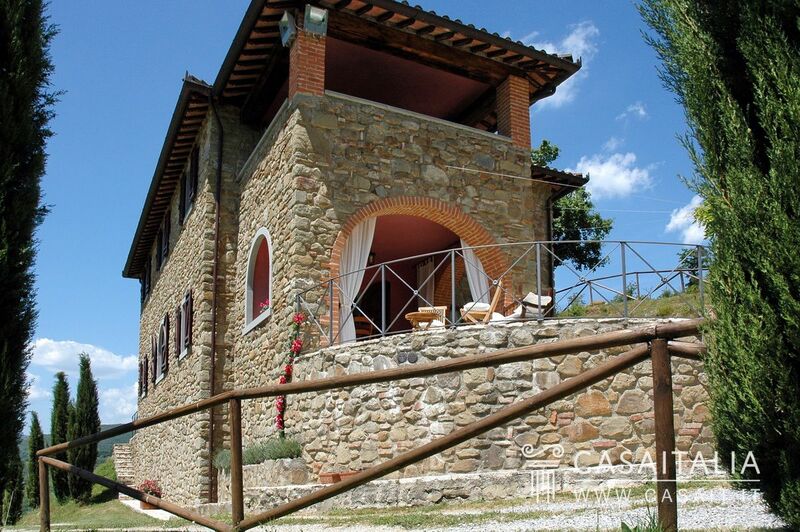 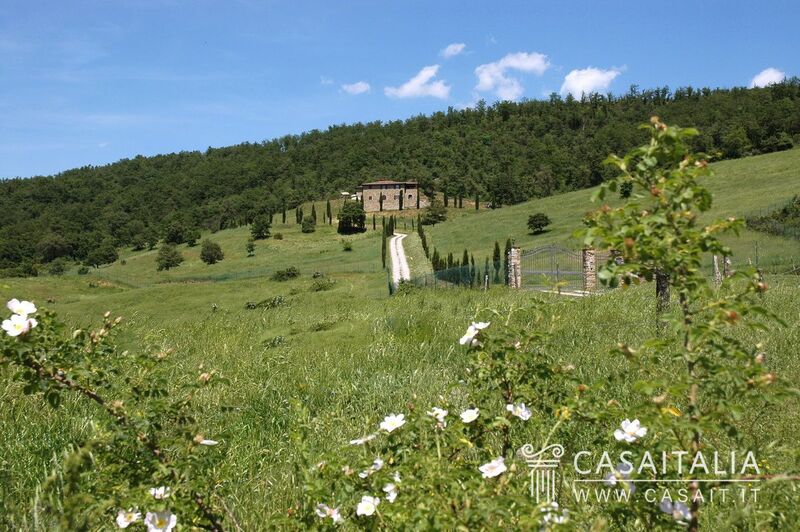 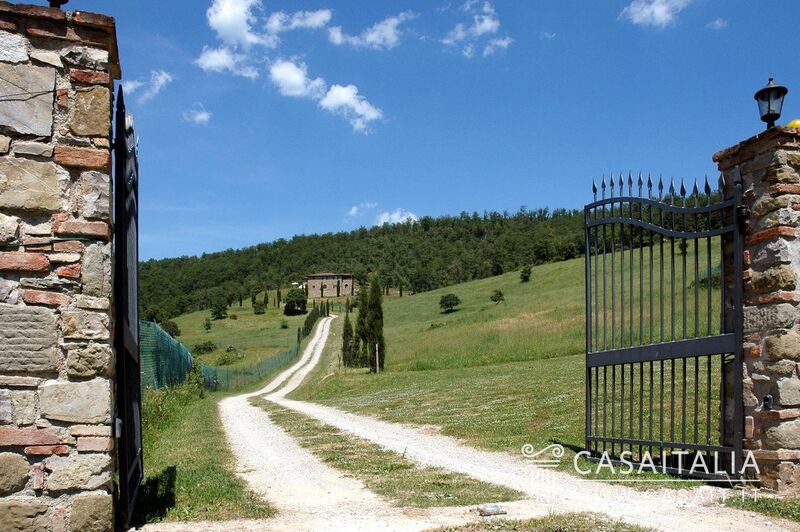 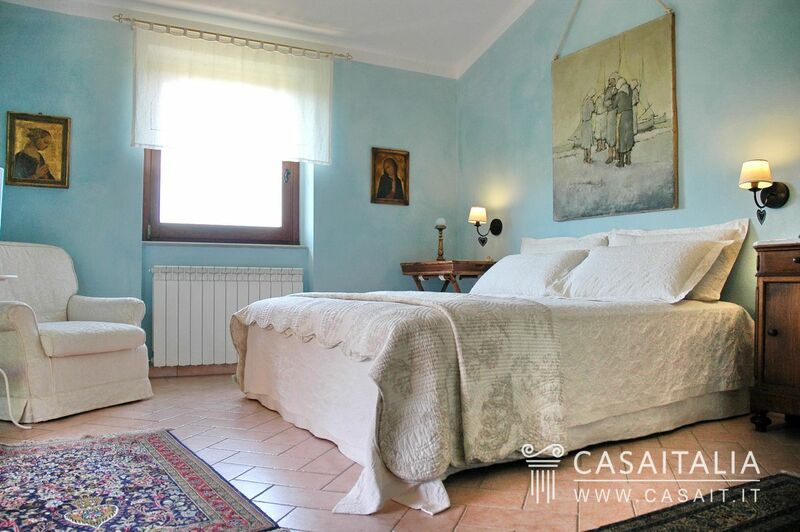 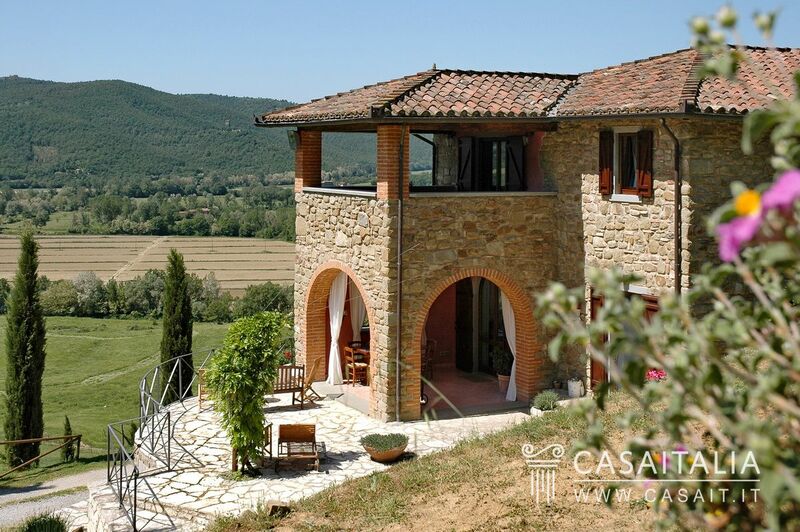 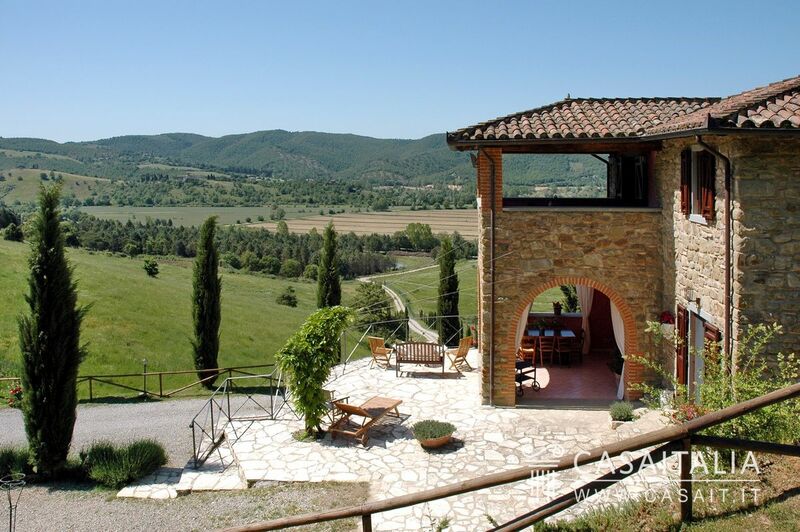 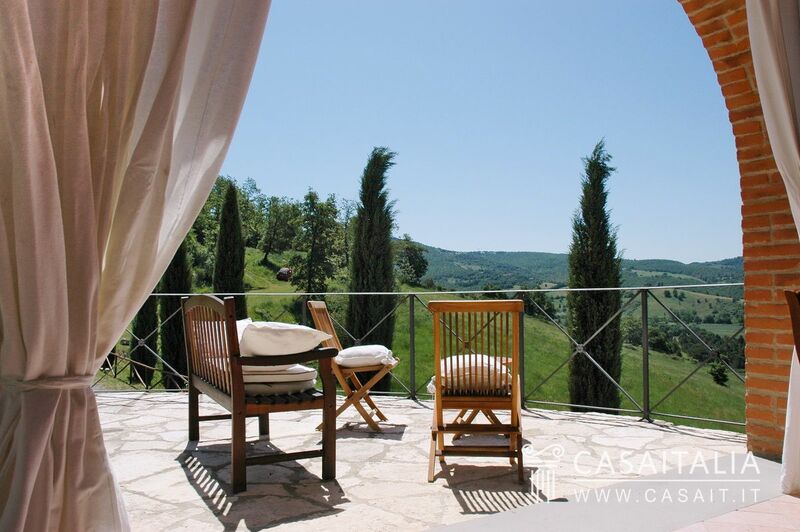 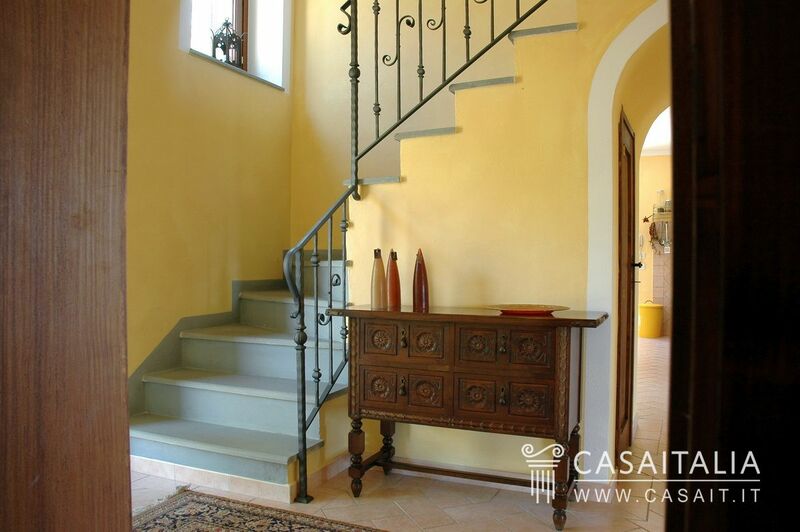 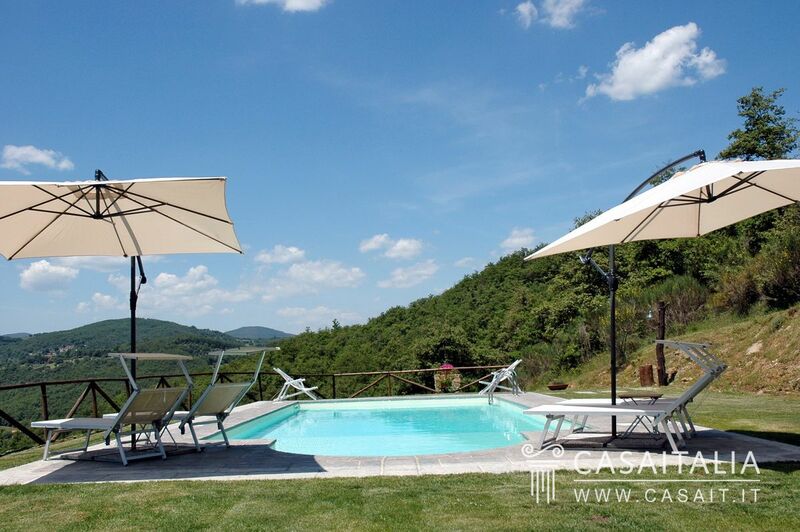 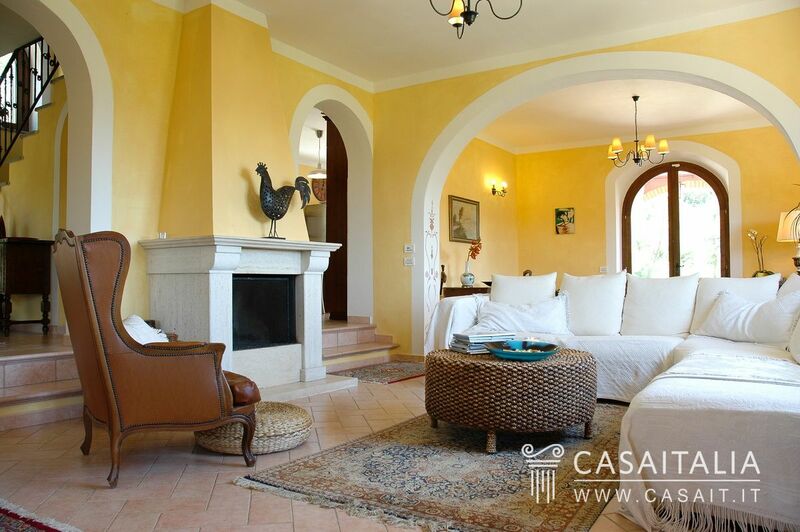 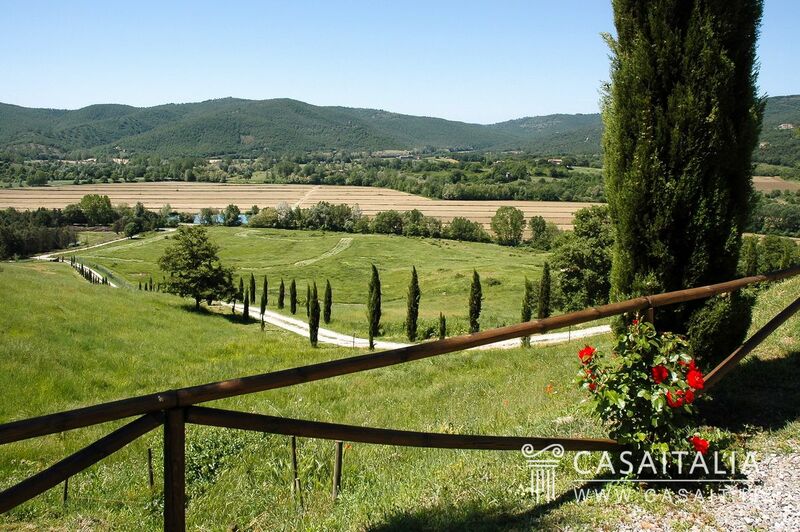 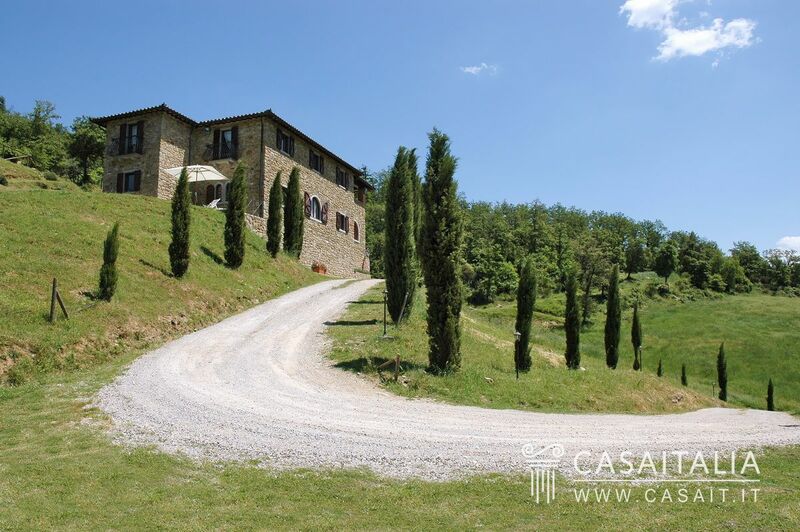 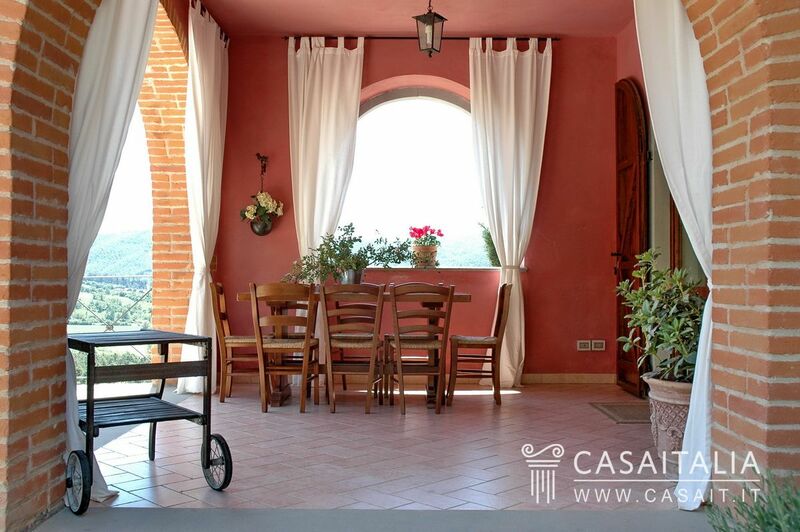 Villa dei Cipressi would be ideal both as a permanent residence, or a holiday home. 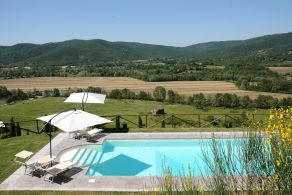 Its countryside location, the pool and its proximity to interesting tourist destinations also make it perfect to put onto the international holiday rental market.